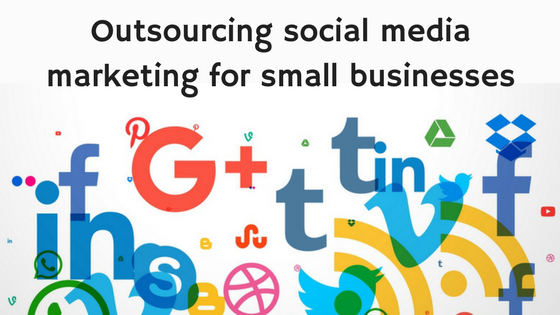 Outsourcing social media management to a professional company will free up small business owners time to focus on growing their business. Small business owners struggle with multitasking, often juggling with the responsibilities in their hand. They simply do not have time to manage their company’s social media accounts on different platforms. Even if they try to manage it themselves, it would not be as professional as the work of a social media expert. Outsourcing social media management to a professional company or hiring a virtual assistant, will free up their time to focus on growing their business. I’d like to share a few more reasons why small businesses should outsource their social media management. On an average, around 2 hours per day is required for a company’s social media activities. Such a task, if added to any existing employee’s bucket list will definitely disrupt his usual work. Hiring a full-time employee will also be a waste since social media management is not a full day job. Therefore, outsourcing it to a professional agency is the wisest option. You must provide timely responses to comments and queries posted by users on your social media pages. Especially weekends and holidays are the busiest times in terms of social engagement. An internal person might not be able to respond to such queries on weekends. However, if a professional agency is assigned this task, then they accommodate someone to manage your account on weekends also. If you have hired a person for social media marketing and he or she leaves, along goes the expertise. A social media company also loses employees, but it’s pretty normal for them. They have other people to care about your account and continuity is ensured. A social media company has multiple clients and therefore varied experience. They know what works and what not. Social media marketing is a huge stream. Social media experts have vast knowledge about the field and they also keep updating themselves with industry trends. Such experience and knowledge will definitely help your company’s online reputation. If you’re managing social media on your own, it often means that you’ll do it when you have the time or there’s a new product/service launch. However, that’s not good for your social reputation. A social media marketing company will have a plan and schedule for your posts. They post regularly, as per the defined schedule and keep the audience engaged. Social media marketing is about communication and relationship building, which if done correctly can lead to sales. The audience won’t get excited about social media posts that are self-centered. An experienced and qualified social media manager will cost you a lot more than an outsourcing agency. If you outsource social media management, you are guaranteed a professional who breathes social media and that too for less money. A social media marketing company will already have processes in place to do things quicker and better. It will save a lot of time involved in your social media efforts. After all, you must have heard, saving time is saving money. A small business should outsource its social media management, considering all its benefits. You should also work in coordination with the outsourcing agency. Treat them as an extension of your marketing department. They will be your brand’s voice and communicate on your behalf. So, they should be aware of your what message you want to communicate to your audience.